It’s always been a goal of mine as a mom to make the most of every moment with my kids. Now that my oldest is driving and spends most of his time at school or with friends, I’ve focused my efforts more on my youngest. In many ways I feel like I’ve started all over with elementary school homework and after school sports. I sometimes find myself racking my brain for the ideas I used with my teen when he was the same age to make every area of his life memorable and I’m not at all surprised when many of those tactics and techniques I used with him seem to revolve around snacking. You see, I learned early on that as a mom of boys, any everyday activity can be made memorable with the right snack. As we’ve struggled to find a routine to make my little guy’s second grade homework assignments something worth getting excited about, I’ve gone back into my old bag of tricks and paired ideas that have been proven successful with fun new snacks to come up with homework success tips and ideas for kids that are effective. I’ll be the first to admit that my children are two very different creatures. With my oldest, all I had to do was ask him to sit down and do his homework and it was done. My youngest is more easily distracted and truthfully struggles with procrastination (I get it…I was the exact same way!). Knowing that some of my tried-and-true techniques for homework success would work with him and others wouldn’t, I decided to take a look at how I can make homework time fun and successful and as I shared my tips with my fellow moms, I realized that when it comes to homework success a simple formula works each and every time! My feelings used to get hurt when my husband told me I was a fly-by-the-seat-of-my-pants type of mom when it comes to homework. I never knew where the pencils were. I’d have to spend half an hour tracking down all the supplies for one of the kids’ many assignments. As many of you mamas know, when you have littles, homework doesn’t just require a pencil and their brain. You need markers and crayons and scissors and glue. So, after years of searching for supplies I got smart and created a designated homework space. Luckily, I have built in shelves in my kitchen right next to where our kitchen table (AKA, the homework table) is located so I cleared out all my cookbooks that I used to store in those shelves and replaced them with all the school supplies that ensure homework success. That means that when my little guy comes in and sets down his book bag and pulls out his homework, he can immediately get started instead of battling distractions while I search for all the supplies that he will need. I highly recommend this method of keeping all school supplies in one area so that they are easy to find. 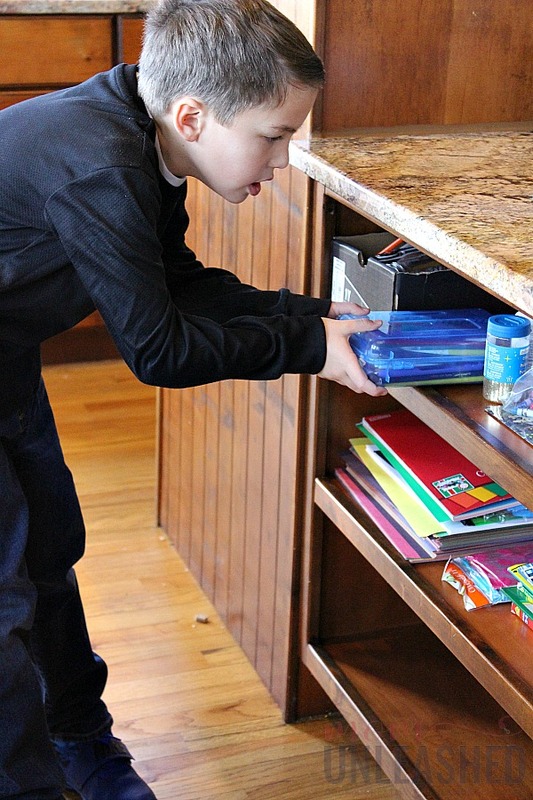 Whether it’s a cabinet, shelf or even a box that you pull out every afternoon, make sure you have a designated homework space that is always stocked. Having all the supplies for homework success on hand is key to getting my little guy started with his work but in truth, I could have every supply on the planet and if I didn’t have a fun snack to pair with it, none of it would matter. You see, my kiddo plays hard at school. By the time he gets home it’s been hours since lunch and the first words out of his mouth are always “I’m hungry!”. 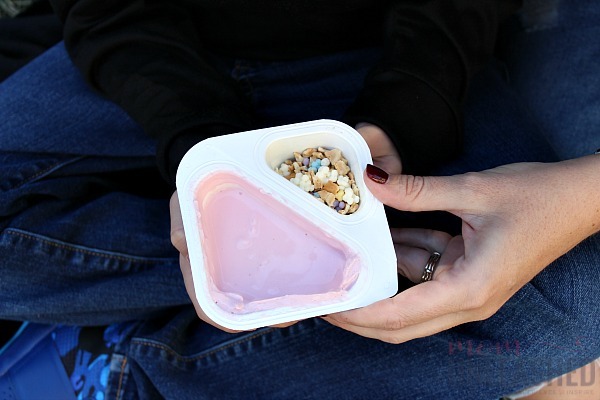 Now this used to send me on another hunting mission….until I got smart and discovered new Chobani® Gimmies™ yogurt for kids at Walmart. This fun new snacking option that comes in a drinkable option (Chobani® Gimmies™ Milkshakes) and a fun mixable option (Chobani® Gimmies™ Crunch mix-ins) is perfect for after school snacking and makes homework time the most delicious time of the day. As my little guy sits down to read his assigned books and works his way through second grade math problems, I’m able to quickly and easily pair a Chobani® Gimmies™ Bizzy Buzzy Strawberry milkshake (isn’t the name even fun?) with some fresh fruit for a snack that I can feel good about giving him and that he gets super excited about. You see, I’ve done MY homework as a mom and know that Chobani® Gimmies™ yogurts are made with only natural, non-GMO ingredients and never have any thickeners, preservatives or artificial sweeteners! Instead, like all Chobani® yogurts are protein packed and contain probiotics to support digestive health/immune health/lactose digestion​. But truthfully, the best part of this easy snack (I mean, what’s simpler than pulling off the top of a Chobani® Gimmies™ Bizzy Buzzy Strawberry milkshake and adding some fresh blueberries to a bowl?) is how excited my little guy gets about it. The minute he sees his Chobani® Gimmies™ Bizzy Buzzy Strawberry milkshake in my hand, a smile lights up his face and homework time quickly goes from the most dreaded time of the day to the most fun time of the day! As I help him work his way through is list of spelling words or double check his math calculations, he’s able to sip on a snack that’s packed with protein and supports his good health. And the truth is that while he’s sipping on his Chobani® Gimmies™ Bizzy Buzzy Strawberry milkshake, he doesn’t even seem to mind the fact that he’s completing equations, memorizing words or reading assignments. These Chobani® Gimmies™ milkshakes are now available at Walmart have become a homework time staple in our home. I’ll be the first to admit that when it comes to kids, variety is the spice of life and thankfully Chobani® Gimmies™ yogurts have the perfect way to mix things up when we need options. I know all the signs of homework boredom….the wiggling in his seat, the spinning of his pencil, the looking around for any excuse to take a break! I’ve also learned that when these tell-tell signs appear, it’s time to mix things up if we want to stay on track to homework success. While there are certain assignments that need to be completed at the kitchen table, there are also certain tasks that can be done anywhere…like the nightly reading assignments my little guy brings home. Many afternoons, we’ll mix things up (when the weather is nice) and head outside with his books and some Chobani® Gimmies™ Poppin’ Cotton Candy or Choco Chunk Cookie Dunk crunch flavors. His motivation seems to always stay on track when he knows that once his reading is done, he’ll be rewarded with a combination of creamy yogurt and fun toppings found in a Chobani® Gimmies™ Crunch mix-in. 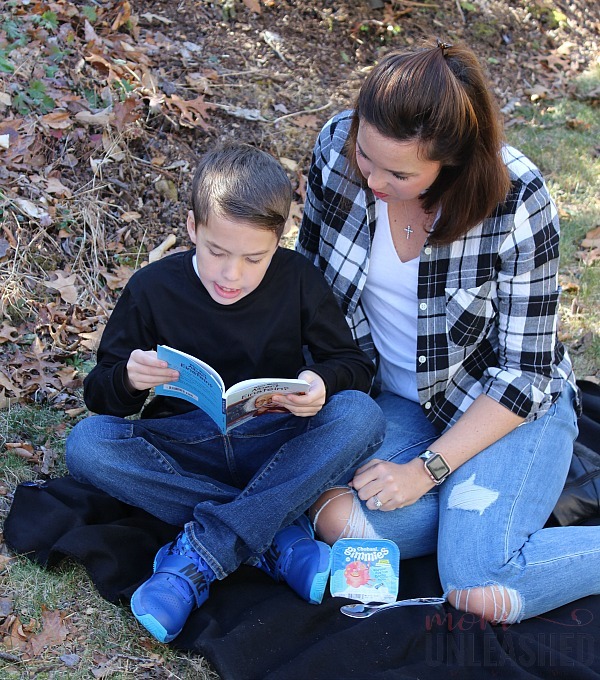 He’s able to take breaks from his reading to snack on a delicious snack that he adores and that I feel great about fueling our outdoor homework session with. While it seems like such a simple addition to his afternoon homework, Chobani® Gimmies™ Crunch mix-ins are the perfect way to take an everyday task that he has to do and make it more delicious and more fun. With our simple homework success tips and ideas for kids and our beloved Chobani® Gimmies™ yogurts, I’m able to take what used to be a dreaded time of the day for my little guy and turn it into a time of the day that we both enjoy. Whether it’s through pairing a Chobani® Gimmies™ Milkshake with fruit to turn homework time inside into a time that feels like a treat or heading outside to mix things up with Chobani® Gimmies™ Crunch mix-ins, I’ve learned as a mom that making homework time delicious is a perfect way to ensure homework success! So now that you know why Chobani® Gimmies™ yogurt for kids are an essential for homework time and really any time in our home, let’s talk about where you can find them. Chobani® Gimmies™ yogurts are NEW and are now available at Walmart in a variety of fun flavors and varieties. I recommend picking up a combination of Chobani® Gimmies™ Milkshakes and Chobani® Gimmies™ Crunch that all come in super cute, fun-for-kids packaging so that you’ve got perfect options for any time your kiddos needs a fun snack you can feel great about. 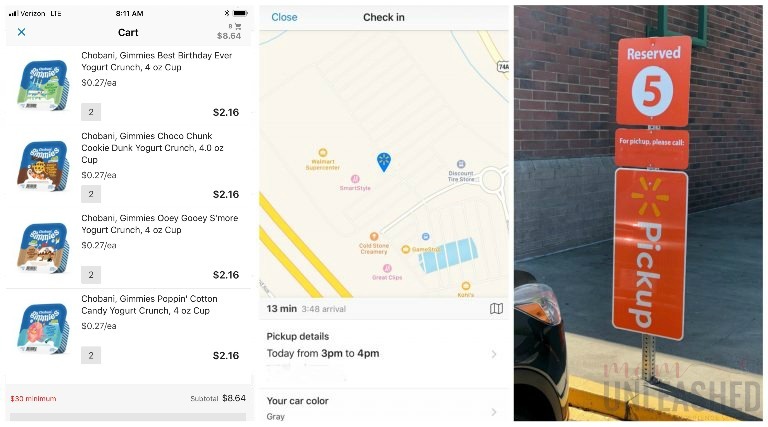 To make things even easier, you can take advantage of Walmart Online Grocery Pickup or Delivery (if available in your area). Simply order your Chobani® Gimmies™ yogurts online, schedule your pickup or delivery time and enjoy the fact that stocking up on your child’s favorite afternoon snack has never been easier. So what are you waiting for? 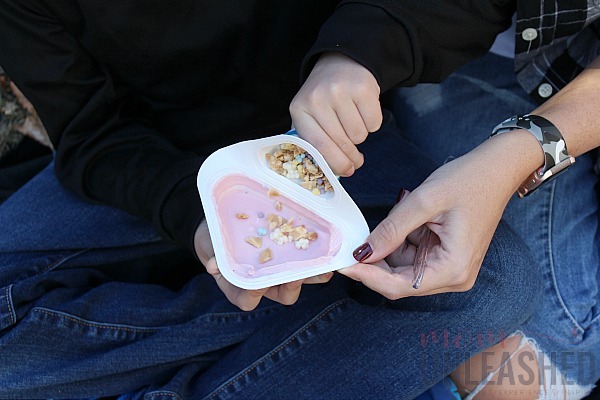 Whether you’re looking for the perfect snack for homework success, need a fun filler for your child’s lunchbox or just want to have a snack on hand you can feel good about for when your kiddo is hungry, be sure to stock up on Chobani® Gimmies™ yogurts from Walmart today! Want even more ways to use Chobani® Gimmies™ yogurt to make every day fun and delicious? Click here for more ideas and inspiration! Then tell me, which of the Chobani® Gimmies™ yogurt flavorswould make homework time more fun for your child? I think a separate work space is a great idea. I know that I set up a caddy for my kids with pencils, markers, etc and that really helped my kids, too. These are such tasty snacks. I even like them! I had two of the flavors. These are some great tips. Sometimes my kids struggle with getting their homework done. I had a separate workspace but somehow they still join me in mind so that was a short-lived thing. HW keeps us up all night so I love the snack idea of mixing it up. That is a nice snack for after school, before homework. Excellent tips for helping kids get through homework successfully. No more kids at home any more but we did these things when they were growing up. First thing from school they were starved so always had something for them to enjoy soon as they walked in the door. this is SUCH a great idea for getting kids to get homework done and a reward liek this would be a great idea for my little ones to enjoy after getting it done! cant wait to grab these! I have been having trouble getting my son to do his Homework and I am ready to try new things so thank you for the tips I can’t wait to check into them. This is great. My kids struggle with homework. I find that if I let them have a snack first, it gets them going. I used to tell my parents the same things. I wish I had your post to hand to them. Great advice. I love the idea of a designated homework space! That sounds like a great way to stay organized! Having a time and place to do homework consistently helps. My kids would have loved that snack. We eat the fruit on the bottom Chobanni yogurt all the time. Doing homework with my kids is sometimes challenging so thank you for these tips. We always eat snacks first before doing our homework. Having a designated homework space is important. My son has a little nook in his room for it. Great tips! I keep trying to make my kids have a dedicated work space but they like to be by me. I don’t know why but it makes me a little crazy. I made an education corner for my son at home and we attack one piece of homework a night. Him eating lunch prior and getting a snack right after is key for productivity! Wow, That is so great and look so effective, Kids is so playful and this must be the answer.